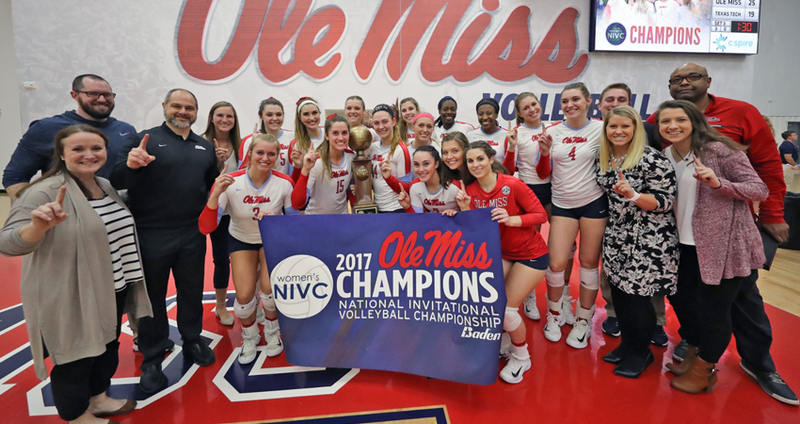 OXFORD, MS -- Ole Miss built early leads in the first two sets, then rumbled ahead in the third set after a 15-15 tie, and rode 17 kills from Emily Stroup to beat Texas Tech and win the 2017 NIVC championship. 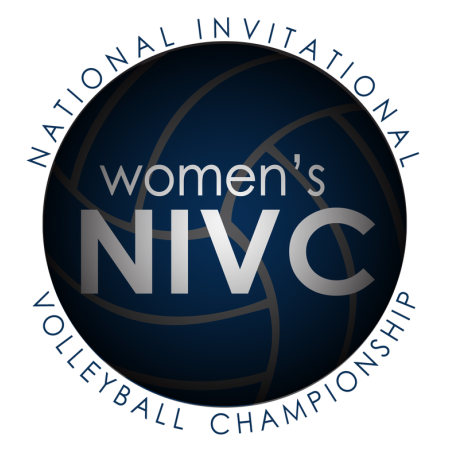 The Rebels (22-14) dropped just one set in five matches during the tournament, beating West Virginia, Georgia, Arkansas State and Stephen F. Austin in the previous rounds. Ole Miss won a challenge in the first set, which gave them an 8-7 lead, and the lead expanded to 12-8 on a kill from Stroup. Emily Hill had a kill to draw Texas Tech (19-15) to 17-15, but winners off the arms of Bayleigh Scott and Lexi Thompson pushed the lead to 21-16 for Ole Miss, which rolled to the win from there. In Set 2, three errors from the Red Raiders allowed Ole Miss to build a 17-11 lead, and again, there would be no rally from the visitors. Set 3 was more back-and-forth, with Texas Tech taking a 15-14 lead on a kill from Katy Keenan. Ole Miss replied quickly and took a 23-16 lead; Kate Gibson's kill gave her team match point, and Stroup finished it off with her final kill. Ole Miss had five aces and hit .276 on the night, and Stroup hit .353 against the Red Raiders. Gibson and Thompson each had nine kills, and Jordan Fate had 19 assists. Caroline Adams topped 513 digs on the season, setting a single-season record for the Rebels. Chandler Atwood had 11 kills for Texas Tech.